Welcome everyone . This shop is sorta crappy , i know but Im getting it all set up ! Im ready and im looking forward to having your requests! Re: Duchess Shop ! @Edits.Free. Text ? I Like Texts and the way the users on here so far have created it. Administrator wrote: Text ? I Like Texts and the way the users on here so far have created it. Alrighty , Ill be on it as soon as i can! Not Purple exactly because, the color codes were crapping up Lol. Sorry though Ill redo it. 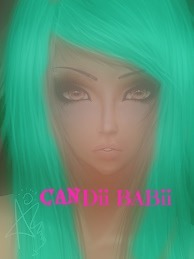 Candii is always good .I bet she is too !